Immaculately cared for Character home. AMAZING LOCATION minutes from DOWNTOWN, and steps away from ADA BLVD and CONCORDIA UNIVERSITY!!! Walking distance to river valley, providing incredible city skyline and river views. Close to Highlands Golf Course and Borden Park. Quick access to river valley for hiking, biking, and many other outdoor adventures. Neighborhood is currently being upgraded with new sidewalks, roads and lighting. 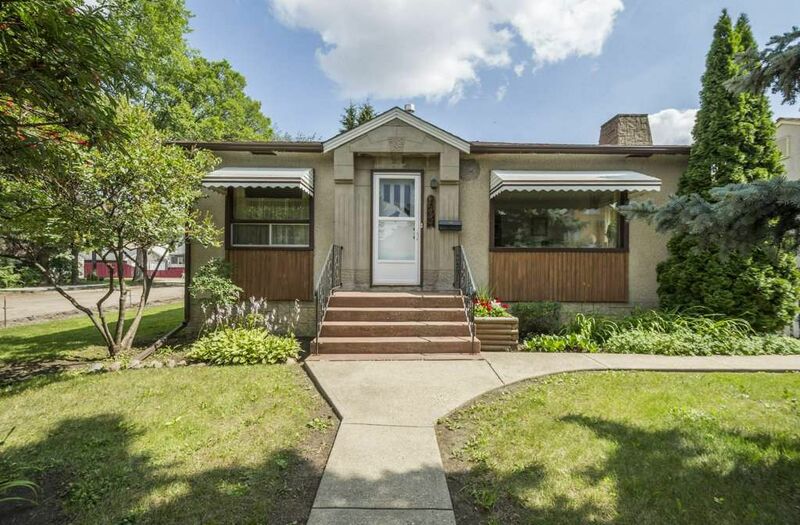 Home is a 2+1 bedroom Bungalow on a corner lot with a single detached garage. Main floor offers Living-room, large open Kitchen with wood fireplace, two bedrooms and a 4 piece bathroom. Downstairs has an additional 3rd Bedroom, 3 piece bath, Large rec room and storage area. Well-groomed corner lot with fruit trees, shrubs, and garden plot.